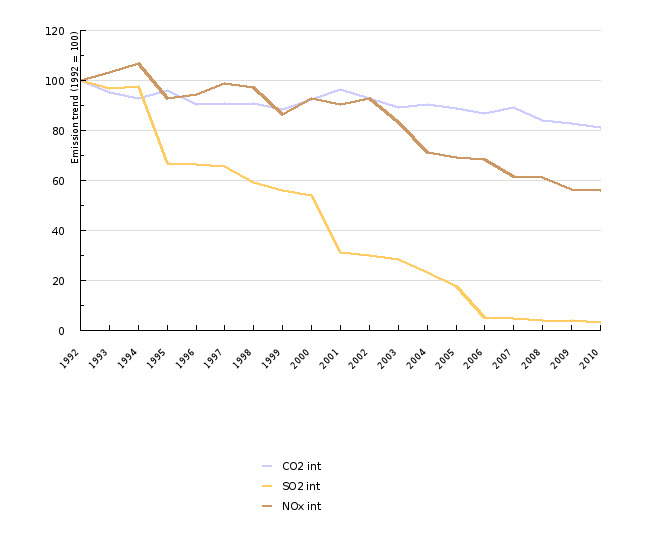 The emissions intensity of SO2, NOx and CO2 from electricity and heat production in public conventional thermal power plants has decreased in 2010 compared to 1992 by 97 % (SO2), 44 % (NOx) and 19 % (CO2) respectively. 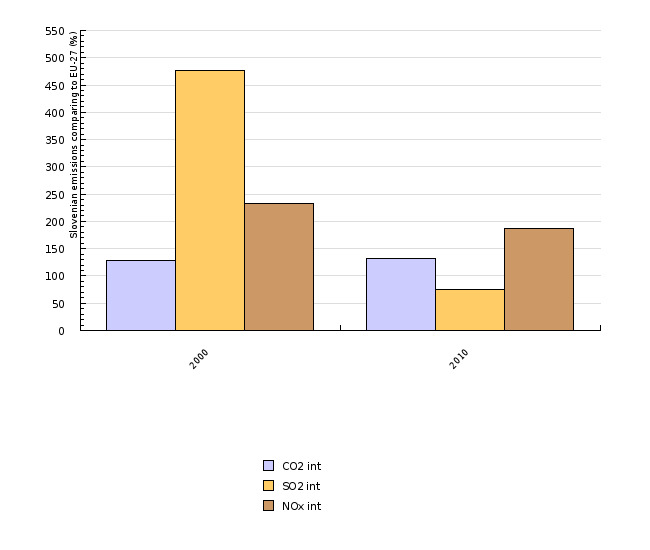 Compared to the average of EU-27 intensity in 2010 was lower for SO2 and higher for NOx and CO2. Jožef Stefan Institute, 2012, Data: Slovenian Environment Agency, 2012; Statistical Office of the Republic of Slovenia, 2012; Ministry responsible for Energy, 2012. Jožef Stefan Institute, 2012, Data: Environmental Agency of the Republic of Slovenia, 2012; Statistical Office of the Republic of Slovenia, 2012; ETC-ACC; Eurostat, 2012.